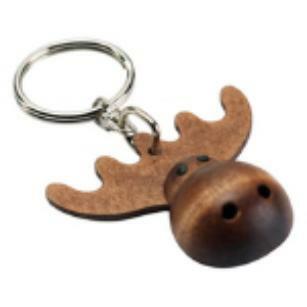 This quirky moose-shaped key ring by Scandinavian designers Aarikka is fun and practical - a great gift for your dad, or a male friend or relative. Crafted from sustainable wood, the key ring is light to carry and durable as well as eco-friendly. It has a unique shaped fob that is large enough to make it easy to find, but small enough to fit in your pocket.Go on - treat him today. Only £10.90.